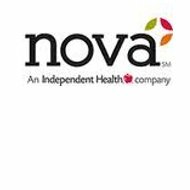 A review of the Nova Health Insurance Company leads to Nova Healthcare Administrators, Inc. This company has been in existence since 1982 and deals with self-funded employee benefit programs. As part of its continued growth, it was acquired by its current parent company Independent Health in 2003, which allowed the company to expand their previous offerings and offer new products. Both companies have a reputation for being dependable and supplying quality services. Are you without health insurance? Why take chances, search for affordable rates by entering your zip code in the box given. Nova’s website states their mission is “to provide insurance products and services that offer affordable access to quality healthcare.” To this end, they are devoted to maintaining a focus on managing their customer’s plans. They keep the plans affordable, while leaving the medical decisions to those best qualified, doctors. A self-funded plan is one that is funded by an employer through his or her own funds versus through a health insurer. The health insurer administers the plan, while the employer pays the claims. Nova Healthcare Administrators specializes in the third party administration of self-funded benefit plans for such entities as corporations, municipalities, and unions. Nova Healthcare Administrators also provides administration for both COBRA and HIPAA requirements to their customers to ensure regulations pertaining to both are followed correctly. This in turn provides assurance that proper notification, waiting periods, and required compliance with the federal laws are followed. Specific stop loss coverage, also known as individual stop loss, that reimburses the customer for the excess of claims made for any covered individual that exceed the set deductible during a covered policy year. Aggregate stop loss coverage protects the customer from excess claims in total from its entire group of employees. The carrier computes a preset amount, also known as an “attachment point.” The employer is reimbursed for the excess if the total of all claims exceed this point. This allows Nova to provide accurate and up-to-date knowledge to their clients that may have an effect on their subscribed plans. It is important to keep in mind while shopping for health insurance to always check for any available ratings, which will give you an indication of how the company is doing financially in addition to how they conduct their business. If you are still searching for health insurance, all you need to do is enter your zip code. We will provide you with a list of health insurance providers in your area.